The Crisis in Ukraine began at the end of November 2013. Then the president suddenly changed his mind and dropped our agreement to enter the European Union and began to pursue money from Russia (Russia had been pressuring Ukraine by long delays from Ukrainian exports at the borders). Thousands of people came to protest this decision and the government responded with harsh violence against unarmed protesters. This brought more people into the streets – nearly 1 million for one protest. People stayed in the main square protesting around the clock for the entire month of December in below freezing temperatures! Then the government responded with more violence and more people came. Finally, the president pushed a series of repressive bills (without a vote in Parliament) that made it illegal to voice any opposition (including on the internet), to gather for protests, to publish anything against the government, and these laws allowed trials without notice or jury, and etc. They even included laws that made it illegal to wear a helmet (people began doing this because the police were beating protesters on the head), to drive in groups of more than 5 cars (because protesters were organizing car protests to the president’s mansion. There were also laws that made it illegal to use your cell phone to tape or photograph police brutality! Most of these violations carried a 15 year sentence without any recourse to a fair trial! More people came to the streets in cities all over Ukraine and the people captured 12 of the 24 regional government offices (they still hold 10 – two were recaptured by the government). The government decided to negotiate a little and that is where we are right now. 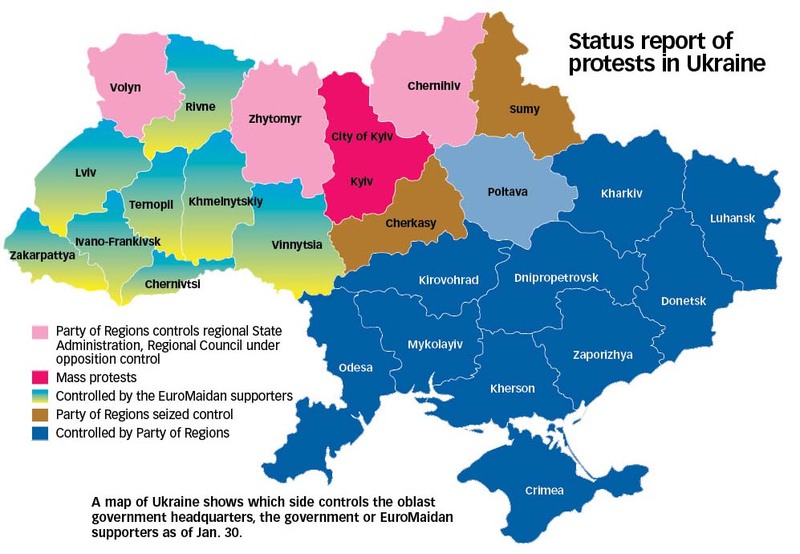 Unless there are significant concessions, it looks likely that a civil war might occur in Ukraine. That would be terrible for the people of Ukraine and would probably be a situation where the government could use force without any accountability. 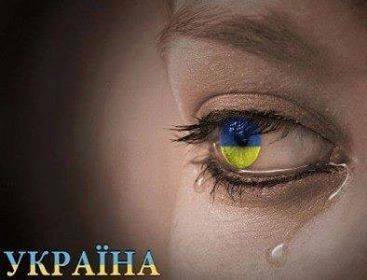 We ask that you be praying for Ukraine. What happens in the next 2-3 weeks could determine the course of Ukraine for many years ahead! Even with all of this going on, life continues. In fact, we were able to announce the birth of our daughter, Kristina. She was born on Tuesday, January 28th at about 3:30 pm (Kiev time). Katya and the baby are both doing fine although we are both tired out at this point! I finished the class on Contemporary Issues in Theology in December and most of the papers are in the process of being graded. In March, I will be teaching a class on the Theology of Prayer. I have taught this a couple of times but this year we have a new format and new syllabus. So I have a lot of preparation ahead for this class in the next month. Also, be praying for us as we minister in our church and other ministries. We are currently involved in ESL Clubs (through Campus Crusade ministries), a home group and children’s ministry. Socially, we are touching lives through teaching dance classes at a Youth Club in Kiev (including many international students who began coming this fall). Pray that our lives and words will lead others to Christ. Beginning Monday (February 3rd), I return to Russian classes at the National Linguistics University in Kiev. This will take the bulk of my time each day. I will have classes 4-5 hours a day and 3-4 hours of homework. But I am showing a lot of improvement in my Russian. But I still have a very long way to go! Most of all, many still live in spiritual darkness without knowing the freedom the gospel can bring. We are excited to be part of Kiev Theological Seminary where students and professors are being trained to bring light into the spiritual darkness of Ukraine. God has given us an open door where we can train students from all over the former Soviet Union. Please pray for Ukraine and all the missionaries working here can continue the work of this ministry. Thank you so much for your prayers and support … In short, we are safe but we need your prayers for democracy and unity in Ukraine. In times like these, we recognize how much we depend on the prayers and support of God’s people! Thanks for being faithful to His Kingdom!